Since my first presentation representing IBM on Pervasive Computing in 1995, I have had a keen interest on how the market would evolve. Using my trusty WiFi enabled toothbrush as a prop, I would try to paint a picture of a world with billions of devices and sensors changing our everyday lives, disrupting industries, and ushering in the end of client/server computing. The drivers of this ubiquitous computing model included technologies such as GPS, which President Clinton created a dual-use system in 1996, and the first WiFi protocol standard (IEEE 802.11) was released in 1997. Around the same time, Chinese manufacturing was exploding, redefining business models the world over. 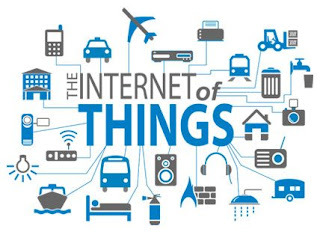 The term IoT was coined by British entrepreneur Kevin Ashton in 1999. On the consumer side, the momentum was slow. The lack of standards, customer demand and innovation in smart home technology delayed the market for almost 20 years. Even though circuit boards could be wrapped in plastic for a few dollars - the customer experience was poor and the need wasn't well defined. A couple of remarkable things happened in 2007. First, the launch of the iPhone which drove the smartphone to be a mass-market "second device". Later in the year, a new category of inexpensive laptops called Netbooks sold millions of units and became a "third device" to many. Netbooks ended up being replaced by a superior form factor, the iPad, or slate tablet, selling 250 million units in the first 5 years. In the last couple of years, the battle over health wearables, including early entrants such as FitBit and Jawbone, and of course, the Apple Watch in 2015 competed to be our "fourth device". With most car manufacturers making Apple/Google decisions for the dash and almost every other category of product (electronic or not) designing themselves to be the next big thing, things are just getting revved up! The parallel consumer and business evolution of this trend is helping it drive awareness and attracting billions of dollars of investment thus creating a new tech bubble around big data and endless devices and sensors. 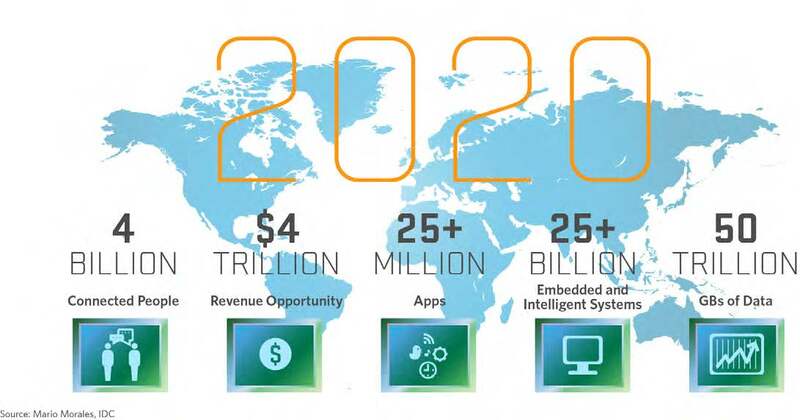 The channel has some notable IoT-deniers, but the analysts that are throwing out wild projections of 25 billion devices by the year 2020 are going to be right on this one. In fact, 83% of internet users see themselves with dozens of potential devices in the next 10 years (Pew Research). The inevitable question for the channel is how to take advantage of this trend early and build the right organization and business model that can drive growth and profit in this upcoming chaos. Client/Server will look simple compared to linking endless devices securely and making sense of mountains of disparate data being generated. Business consulting represents a huge opportunity - both with lines of business such as marketing, operations, HR, supply chain, as well as IT who will own the security, redundancy, and performance of this new paradigm. While some devices and sensors will be innocent, others will be transmitting health, payment and private citizen data that is highly protected by multiple levels of government regulation and evolving legislation. Hacking will take on a new dimension on the edge of the network and security expertise will be one of the most valuable skills in the foreseeable future. There will be little opportunity for hardware margin (not unlike today). The opportunity will be in finding and procuring devices and software from over 100,000 competing vendors, provisioning them with the right network and security protocols and staging them for deployment. The permutations and combinations of 100,000 vendors producing hardware and software will invariably lead to a highly customized, industry specific set of skills that piece together software stacks, in many cases for the first time ever. An obvious extension to #4 is that vendors will not be interested in extending their API's or dedicating precious engineering talent for one-off solutions. The channel will write code and participate in the integration of technology like never before. Banks, retailers, airlines, hotels and numerous other industries are placing sensors, cameras and other devices in areas where they do business with customers. The channel will offer location services as well as vertical expertise that solves line of business requirements. Companies embed sensors, software and other technologies into their products—coffee machines, refrigerators, big-haul trucks and aircraft engines—to monitor usage and performance. The channel will offer big data expertise including data cleansing, normalization and actionable intelligence. Only 5% of data today is being analyzed and that provides one of the biggest game changers in the next few years. Using mobile apps, beacons or wearables to track consumer behavior. The channel will come in with the marketing and sales skills to connect to funnel activities and customer nurturing, scoring and development strategies. Adding sensors, cameras and other digital devices to production and distribution operations. Channel partners with skills in manufacturing, factory operations, shipping and supply chain operations will provide the guidance and strategic best practices for driving cost out of organizations of all sizes. Audio/Video/Environment upgrades with digital signage, new payment systems, surface computing, etc. I am convinced that this will present the largest opportunity for the channel (ever). Many of the above services are high-margin. In fact, the permutations and combinations of industry, geography, customer size and line of business will almost eliminate the commoditization that has taken over the mainstream VAR business and managed services market today. 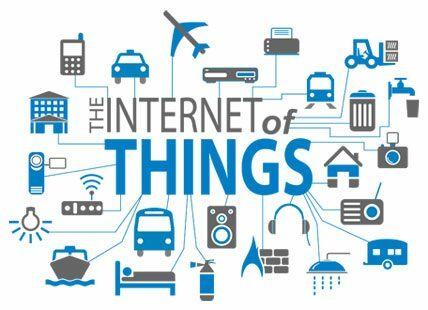 How does the channel REALLY take advantage of IoT? I have predicted a number of times that the number of vendors will surpass the number of channel partners in the next 5-10 years (in North America it is 100,000 vendors vs. 160,000 channel partners today). Read over the 10 items again. This is not the horizontal commodity technology market with limited industry, geographic and size considerations that client/server represented. It is a highly specialized, industry optimized, line of business specific, use case orientated solution that will be hyper-local to a small set of customers. The channel partner who understands the intersection of these micro-markets will be uniquely positioned to expand those opportunities on a national scale, and perhaps globally. Too small for an established vendor to take notice or get distracted, but large enough in revenue and profit to drive entirely new businesses. This isn't new. Thousands of channel partners have already exploited their own intellectual property and started a side vendor business. Many have even exited the traditional VAR and MSP business completely and focused on the new venture. P.S. There is an important nuance to this article. When I say "the channel" I don't necessarily mean the traditional SMB IT channel (think CRN, ASCII, SMB Nation, CompTIA, IT Nation, etc.) The channel that I see participating today are millennials at Dreamforce, Marketo, Hubspot, SXSW type conferences without much in terms of hardware, security, networking and backup type of experience.